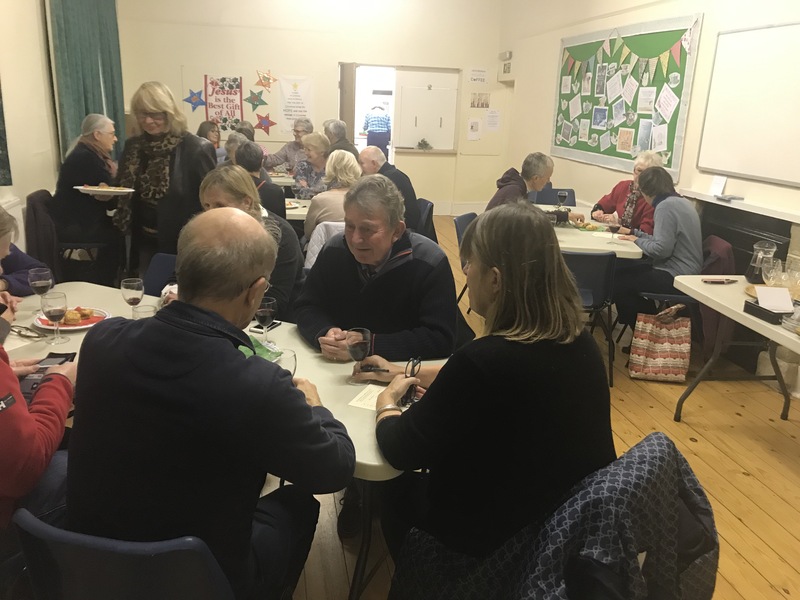 We gathered in the St James’ Centre on 10 December for our annual Christmas Social and Gardening Quiz, this year fiendishly thought out by Gill Barrett from the committee. While each table fought with the anagrams, picture questions (berries, bulbs and leaves!) and general gardening know-how, we were sustained by mulled wine, mince pies and sausage rolls for brain food. The raffle also added over £50 to our coffers for later distribution to local causes. New for the gathering this year was the presence of a local gardener, David Moss*, who offered to sharpen our garden tools for us. He was presented with a collection of sickles, secateurs, edge trimmers and the like – very useful! We don’t have a meeting in January, so our next one will be the AGM at 7.30pm 11 February at St James’ Centre, when we will also have a talk on the art and science of compost making from Master Composter Keith Wellsted. Most members have paid their 2019 subscriptions but for those who haven’t we now offer online payments as well as cheques and cash. Please contact the Treasurer for more information.